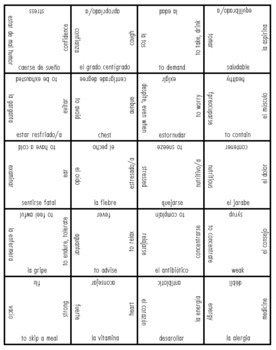 Cut apart the puzzle and have students match up English-Spanish vocabulary for a fun and quick review! 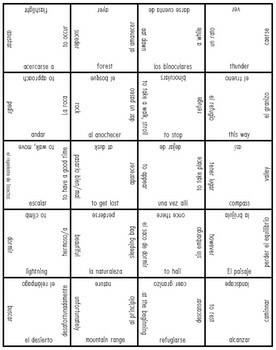 Students may want to compete to finish the puzzle, take their time, or complete the puzzle in stations. 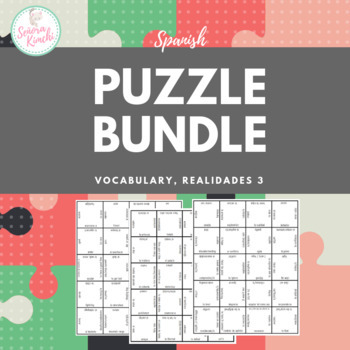 I sometimes send these puzzles home as well so that students can cut them apart and do them at home for vocabulary practice since they are a simple English-Spanish puzzle. 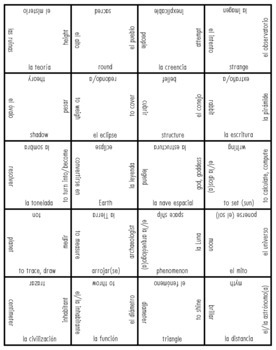 It's a nice alternative to assigning flashcards. Like games? You can find similar games here.